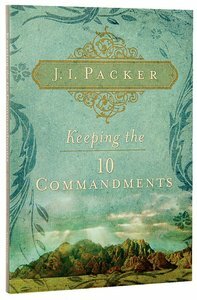 Beloved Bible teacher J I Packer dispels common misconceptions about the Ten Commandments and shows how they give God's eternal blueprint for relational, societal, and spiritual wellbeing. A refreshing perspective on ancient truths. About "Keeping the Ten Commandments"
J. I. Packercurrently serves as a professor of theology at Regent College in Vancouver, British Columbia. Dr. Packer has written numerous books, includingKnowing God.He served as general editor for the English Standard Version Bible, published by Crossway.